DIY: Repurposed Stationery! 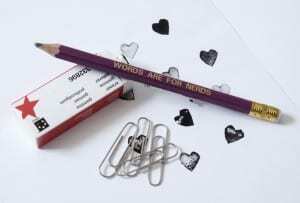 Pencil Brooch & Eraser Stamp for National Stationery Day! Today we thought we would go all out and celebrate the big day in style by repurposing our favorite things: a pencil and eraser of course! 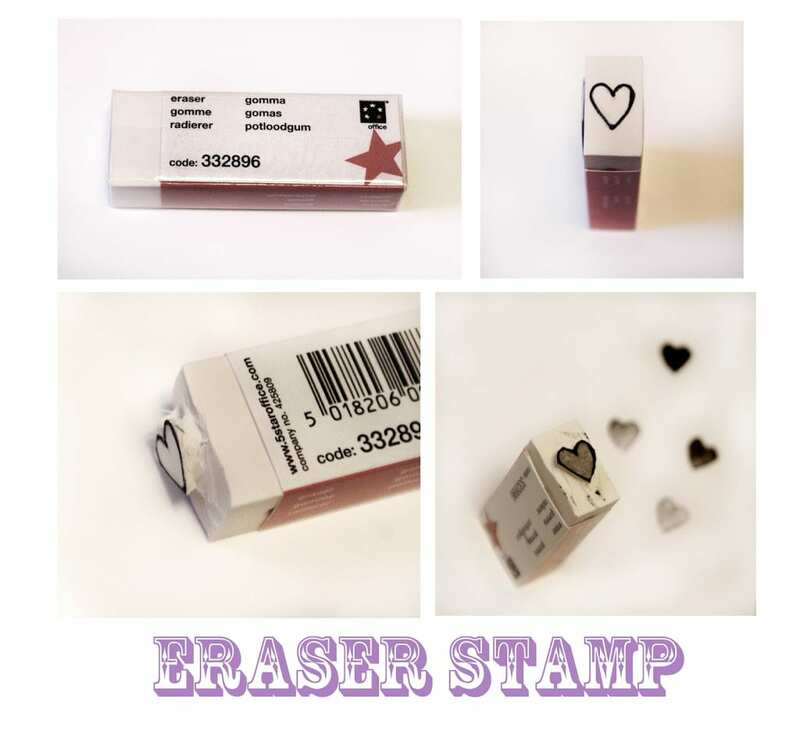 Next up, we’re making a stamp out of our eraser! I would refer to it as a rubber, which I normally do, but the phrase has been somewhat tainted from my youth! Hee hee! 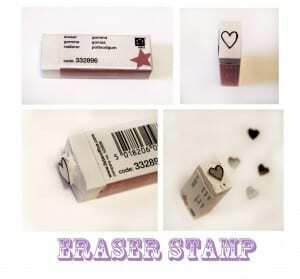 So, to make a super quick and easy stamp, all you need to do is draw your favorite thing on the end of your eraser. 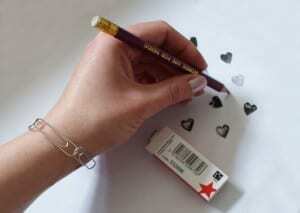 I chose a heart because I LOVE National Stationery Day! Next, carefully cut around it with a scalpel so it sticks out by a few millimeters. Then all you need to do is stamp it into some ink and away you go! I love this diy as it can be great for making your own gift wrap and you can always just cut off the end of your eraser and start again when you want a new shape or if it goes wrong…. This has saved me a fortune in fun printing! We hope you enjoy customising your favorite tools! Those pencil brooches are GENIUS! I must find some nice pencils! I must have some somewhere! Eraser stamps are possibly the greatest repurpose going; they save you a fortune and a whole bunch of time when creating a pattern. If you get a big rubber too you can create some really awesome in-depth detail too. Love it!